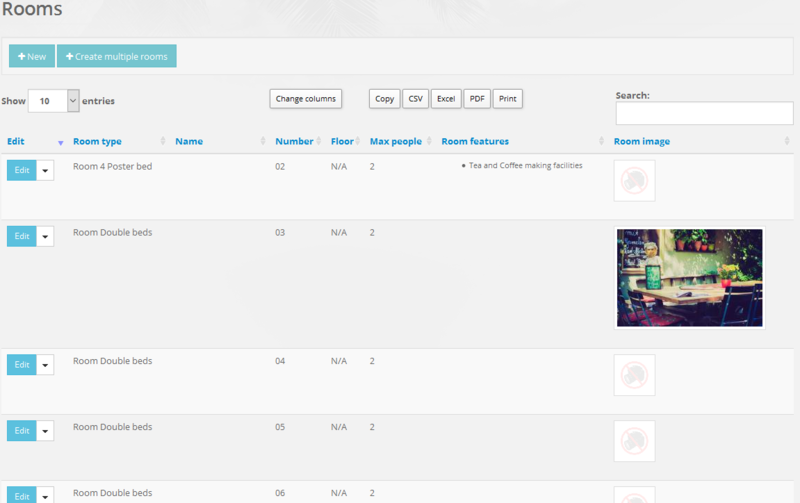 On the Rooms list page you can see a list of the property's rooms, including an image, any room features and the number of people the room can host. This menu item shows up only if your tariff editing mode is set to Micromanage or Advanced and it won`t show up if your tariff editing mdoe is set to Normal. Clicking on the Edit link allows you to edit the room, and the More option allows you to clone or delete the room. If you would like to upload images for each room, then you can do that through the Media Centre. 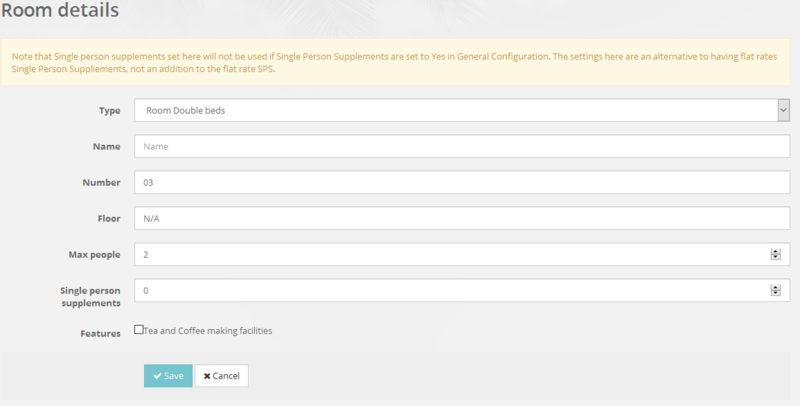 On this Edit Room page you can select the room/resource features that this room supports. It's important to remember that rooms are linked to room types, as tariffs are associated with room types too.